The relationship between the American labor movement and the Democratic Party has long been fairly predictable. For the better part of a century, labor has depended on the Democrats for favorable policy, and the Democrats have depended on labor for votes. Few from either side of the bargain anticipate an immediate future where that arrangement will be upset. So when rumblings started coming out of Ohio late last year about breaking with the Democrats, many in the labor movement were startled. Last November, in the small county of Lorain, Ohio, local labor leaders who were intimately wedded to the Democratic establishment broke rank and supported three independent pro-labor candidates in county elections, all of whom won. The act of rebellion in a union-dense county gained national attention as a story of labor flexing its muscles—and winning—against a Democratic establishment drifting rightward. But just who or what will claim that space is still up for debate—especially in Lorain itself. 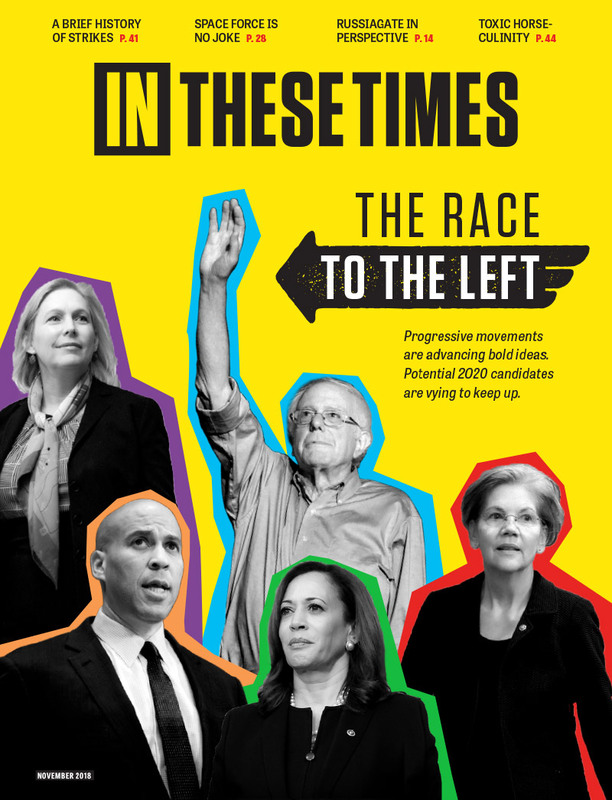 Sawant’s campaign, run by the Socialist Alternative party, insisted on the need for a national party for the working class and a break with the Democrats. Lorain, on the other hand, saw a small group of well-connected labor leaders organize an insurgency against local Democrats. And they did so without articulating a clear political vision, instead projecting mixed messages about building a political alternative in the city—at times intending to pull the Democrats left and then make amends, at times rejecting party politics altogether. And at still other times, they audaciously assumed the mantle of a new labor party movement. Lorain’s rebellion began in April 2013, following a major clash with Democrats that March, according to Jim Slone, former UAW Local 2192 president who now serves as president of Lorain’s UAW Community Action Program Council, the social justice arm of the union. For nearly three years, local unions had worked with the Lorain City Council and former mayor Anthony Krasienko to establish a project labor agreement (PLA), which finally passed in 2011, mandating that the city negotiate the terms of labor with the local Building and Construction Trades Council before taking bids from contractors to carry out public construction projects. But in March 2013, newly elected Democratic Mayor Chase Ritenauer decided to scrap the PLA—a move that received praise from the National Right to Work Committee. To make matters worse, in April, as Russell Saltamontes notes, the city helped break a weeklong strike of around 200 garbage collectors represented by the Teamsters, with Mayor Ritenauer himself riding around in a truck with scabbing workers brought in from outside Ohio. Slone sees it differently. “It was very clear that the mayor had his agenda, that he was going to try to tear labor apart, that he was going to try to destroy everything that we had worked to put into place,” the UAW staffer says. The repeal of the PLA and the failure of the garbage collectors’ strike were the last two straws for labor. In April, union leaders Jim Slone; Harry Williamson, president of the Lorain County AFL-CIO; and Joe Thayer, the local federation’s former president; decided to end their cooperation with the Democratic Party and find favorable independent candidates to back in Lorain County elections. And fast—City Council and County Commission races were only six months away. Over a series of meetings and innumerable phone calls, the “core group,” as Williamson puts it, helped launch the campaign of Joshua Thornsberry, a school teacher, who would run as an independent for Lorain City Council. Greg Argenti, the owner of an auto body shop who had already decided to run as independent would soon get the full backing of labor to claim a seat on the same council. And Mark F. Craig, independent city councilor in Elyria, Ohio, would get a similar endorsement (though he had been serving as an independent since 2008). They drew support from over a dozen union locals in addition to those associated with the Lorain County AFL-CIO, which took the helm of the operation. Although labor still pledged to endorse three of the Democratic city councilors up for election in Lorain, the independent campaigns angered many in the party. In September, Williamson and Thayer received an unexpected letter, signed by Paul Adams, chairman of the City Democratic Party of Lorain, Ohio, stating that if they did not rescind their support for independents and back only Democratic candidates within 10 days, they would not be allowed to attend party meetings. Williamson, the Lorain AFL-CIO president, knew he had fallen out of favor with party leadership for launching the independent political initiative. Although he hadn’t anticipated disciplinary action from local Democratic leadership, he says that he refused to be “discouraged from following my beliefs.” In the end, both Williamson and Thayer let the 10-day ultimatum expire and were summarily stripped of their duties in the city party and banned from future meetings. By October, Thornsberry and his Democratic incumbent opponent Frank DeTillio, who outspent him by about 17 percent, had shelled out a combined total of almost $19,000, which local news called one of the most expensive campaigns in the county’s history. Slone says it was also an “old-school ground-and-pound” affair, with volunteers fanning out to knock on thousands of doors. The dream of forming an independent political party to represent working people in the US has resurfaced periodically on the Left for at least a century. Following World War I, a burgeoning labor movement turned its attention to the electoral arena, although organizers never succeeded in uniting all the nation’s self-proclaimed labor parties under one tent. Beginning in 1943 with the establishment of the first political action committee (PAC) by the Congress of Industrial Organizations (CIO), labor became firmly committed to the Democrats. Despite occasional grumbles from the Left, the relationship remained stable. In 1996, labor activists attempted once again to form a new party for workers. One thousand four hundred delegates representing national and local labor unions from across the U.S. convened in Cleveland, Ohio, to form a new Labor Party which, despite several conventions and nearly a decade of issues-based advocacy, never put a candidate in national office before going dormant in 2007. Five years after the Labor Party suspended most activities, former national organizer Mark Dudzic says he senses some revival of the spirit of a labor party. “We’re beginning to see signs that people are looking for a way to develop independent working class politics, and I think Lorain is [a] very hopeful [development] in that context,” he says, noting that Sawant’s victory, facilitated by an organized political party with national coherence, was last year’s true headliner. Many of the key figures in Lorain’s labor coup had not heard of the initiative for a national Labor Party. Jim Slone, the former UAW local president, thinks the idea could gain some traction. “I wouldn’t be surprised if [a Labor Party] cropped up again,” he says, but adds that he’d have to see “what they stood for” before deciding to get involved. In her 2012 book Independents Rising, Jacqueline Salit points out that “independent” and “third-party,” though often used interchangeably, are not always the same thing. “There is no real third-party movement in America today,” Salit writes. “But there is an anti-party movement, one that is being organized and shaped by diverse influences.” In Lorain, the discussion on which camp to join is still unfolding. For Slone, the creation of a labor coalition was essential, asserting that unions in Lorain were only able to push back against the Democratic Party because they formed a political bloc. For the past nine months, Thornsberry and Argenti have served on the Lorain City Council as independents alongside nine Democrats, and they have a little over one year left in their first terms. By all accounts, there has been no revolution in Lorain, and the leaders of the Democratic Party have been talking with labor leaders Williamson and Thayer about ending their exile from the party. Meanwhile, the two independent council members have been integral to several initiatives to benefit Lorain’s working class. When reports of union-busting at Camaco, an auto parts factory in the county, reached City Council, Thornsberry and Argenti worked with another labor-backed councilor, Democratic councilman Brian Gates, to pass a resolution in June defending the workers’ right to unionize. Thornsberry and Argenti also helped tackle the issue of the lost Project Labor Agreement, allying with several other councilors to strengthen the current legislation governing city-funded construction work. When Mayor Ritenauer snubbed labor and repealed the PLA in March 2013, he passed a new plan to govern construction work. The plan nixed the requirement that contractors use a unionized workforce, dropped the hiring requirements from 75 percent to 25 percent local labor, and raised the bar on the size of the projects implicated, so that the agreement applies only to projects with budgets of more than $2 million. Sponsored by Councilman Tony Richardson (one of the three city council Democrats endorsed by labor in the last election), amendments to the standing labor agreement will apply to all projects over $250,000 rather than $2 million; and will raise hiring goals from 25 percent to 50 percent local labor, from 9 percent to 20 percent minority, and from 7 percent to 15 percent female. Slone says the new agreement is a bit “watered-down”—unlike the former mayor’s project labor agreement, it makes no distinction between union and non-union labor, for instance. But Slone says he is not disappointed in the independents. While Lorain’s independents have succeeded in pushing pro-worker policies, the question of whether the break with the Democrats will have any impact beyond Ohio remains to be seen. “Local politics has its own dynamic,” says Daniel Schlozman, professor of political science at Johns Hopkins University. Schlozman thinks the Left often mistakes local independent campaigns as harbingers of a national third party, when in fact upsurges like the one on Lorain do not “scale up to be a story about national politics.” This is because labor and other local players have much more freedom to challenge local political parties. Of course, this is precisely what labor did in Lorain last year: They turned away from the two major political parties. Such a move, though more common locally than federally, remains rare in American politics, so Lorain’s residents are not the only ones interested in how the story plays out. At the annual Lorain Labor Day celebration sponsored by local unions, Latino activist and insurance agent Tim Carrion announced his bid for mayor in 2015—possibly as an independent—and cameras in the crowd were soon snapping photos of Williamson raising the right hand of Mayor Ritenauer’s possible challenger. Williamson had heard that members of the city’s Democratic party, who were in the audience, were unhappy that the same labor leaders who supported independents Thornsberry and Argenti are now planning to back a candidate against the current Democratic mayor. Which isn’t completely surprising, because labor never made a clean break from the Democrats. While Williamson and Thayer were suspended from the City Party, they remained on the executive committee of the County Party. As far as Slone is concerned, he mantains that he’s still a Democrat, but he’s “going to stay a labor Democrat,” meaning aloof from the dictates of the party and committed to the labor movement. This goal of the Lorain independents may come as a disappointment to those on the Left who are committed to permanently breaking from the two-party system and forming a national Labor Party. Mark Dudzic, the former Labor Party organizer, would like to see the Lorain labor leaders turn their “independent labor party” rhetoric into a reality. It may have a blurry outline, but the movement in Lorain expresses a clear discontent with the rightward shift of the Democratic Party, especially in its attitude toward organized labor. This message, as Dudzic suggests, is being relayed in political races across the country. Jess Spear, the Socialist Alternative party candidate who will face off against Democratic Speaker of the Washington House of Representatives in November, took most of her cues from her fellow party member Kshama Sawant, but was also galvanized by what happened in Lorain. Whether the split between labor and the Democratic Party is temporary or permanent, the ongoing peace talks between the Democrats and labor leaders haven’t quelled labor’s urge to become the dominant political force in the county. Activists are aware that if Carrion runs as an independent candidate for mayor in 2015 with labor’s backing, it could burn yet another bridge back to the Democratic Party. And, always careful to qualify that it’s not official, members of the core group still like to call themselves the “Lorain Independent Labor Party." Despite his short-term goal of bringing the Democrats around to the interests of labor, council member Thornsberry also holds a more radical vision of the American political landscape in the long term. He was only 15 when the Labor Party held its founding convention in Cleveland, but the independent city councilor lights up when considering the prospect of a political party for workers. Lorain unionists are searching for the best way to assert the political power they clearly possess, separate from the Democratic Party. Though Lorain’s labor leaders have no official line on the future of the movement, their vow to support a candidate of any party or no party so long as that candidate supports them could be the beginnings of a party line. If labor can repeat its independent upset in 2015 by ousting a Democratic mayor, elected officials and fledgling candidates will know that staying on the right side of unions is necessary to win elections. Whether that translates into a long-term independent labor party will depend on just how far Lorain's unionists are willing to stray from the Democrats. Working Families Party is largely a branch of the Democratic Party, not really different. Article seems incomplete without a mention of the Working Families Party, which is a slightly different model (at least in New York where there is fusion voting), but is very relevant to the discussion. A clock or watch can contain an extremely dior outlet small and relatively simple antenna and receiver to decode the information in the signal and set the clock's time accurately. All that gucci replica you have to do is set the time zone, and the clock can display a very accurate time. The only thing more chanel replica accurate that you can carry around easily is a GPS receiver, which derives atomic clock accuracy in real time from the atomic clocks in orbiting replica wathces GPS satellites. See How GPS Receivers Work for details. Now, if they could only nationalize US Steel/ Lorain Tubular before it's closed or the USW workers locked-out... NAH! The simple fact is that the only thing the Democrats take from Unions is their MONEY and the Unions get NOTHING for it. The classic example is the Employee Free Choice Act ("EFCA"). Unions spent almost a BILLION dollars in two elections to get a VETO PROOF majority in the Senate and a large majority in the HOUSE and President Obama to sign EFCA. It was like the moon and the stars were all in alignment. Had the Democrats performed what they "promised" and passed EFCA, then today Unions would not have 7% union workforce in the private sector getting SMALLER every day, Unions would have 10% of the private sector and membership GROWING every day. Instead of making EFCA House and Senate bills number 1 and passing them as soon as Congress got in session and allowing Obama to sign this law as his first act as President, we got "Obamacare" that has caused much harm and damage to Union healthcare plans. Unions are FOOLS to give another dollar to the Democrats as the Unions are Charlie Brown and the Democrats are Lucy always making promises, and always snatching the football away at the last minute. Union money in the hands of the Democrats is a waste of Union money. I don't know, Britain's labor party was started by unionists in the late 19th century and today it's not any more left wing than our Democratic party. Every political party becomes corrupted when it becomes dominant. I'd love to see an independant Labor Party backed by the unions in this country.It would not only get my vote but what money I could spare and my participation as well. The reason most people don't vote is that neither party represents thier economic intrest and the electorate knows it. This culture war which the so called left and conservatives engage in leave most working people feeling left out and disgusted.